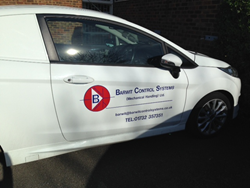 Tonbridge-based Barwit Control Systems makes life easier for countless thousands of people every day. While its people work around the clock refurbishing, servicing and repairing escalators and lifts, Barwit benefits from the help of Fuel Card Services. As a FORS Bronze member, we now pay significantly less than the pump prices we were previously charged and no longer have to pay a transaction fee every time that a driver refuels. The company has been enjoying significant cost savings since switching from its previous fuel card supplier in 2015. Its membership of the Fleet Operator Recognition Scheme (FORS) entitles it to exclusive extra savings. Barwit’s continuing success, with headcount more than trebled in under 20 years, means that fleet expansion is always on the cards. Its field engineers and other staff currently run three vans and six cars, using both diesel and petrol vehicles. They are all refuelled using fuel cards from Fuel Card Services. An exact fit with their requirements is achieved by providing drivers with a mixture of Shell and Texaco fuel cards. FORS members receive impartial advice on the most appropriate fuel cards for their individual needs, from a range that includes fuel cards that valid at BP, Esso, Shell and Texaco sites as well as independent chains, supermarkets and specialist diesel networks.